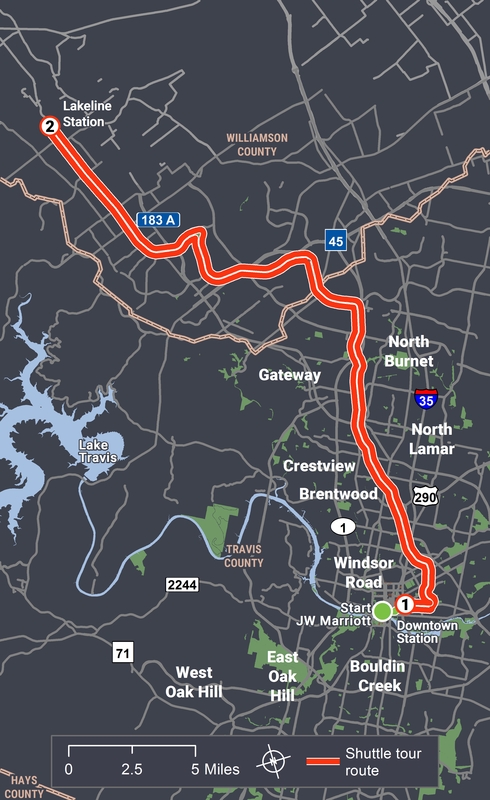 Take a TOD tour on the MetroRail Red Line, Austin’s “starter” commuter rail line. The transit agency’s TOD planner will point out Transit Oriented Development sites, existing and future, along the high-growth route through Central and Northwest Austin. Agency staff also will discuss how the Capital Metro is responding to demand by expanding service with additional track, more rail cars, better connectivity, and more. This tour will travel by rail and walking. Note that this tour must convene at 12:45 pm to depart the JW Marriott for the Downtown station. The train leaves Downtown station at 1:15 pm. Participants will return at 3:20 pm. Refillable water bottles will be provided.